Multistakeholder or Multilateral Internet Governance? Global debate over alternative approaches to governing the Internet has been wide ranging, but increasingly has pivoted around the wisdom of “multistakeholder governance.” This paper takes controversy around a multistakeholder versus an alternative multilateral approach as a focus for clarifying the changing context and significance of Internet governance. A critical perspective on this debate challenges some of the conventional wisdom marshaled around positions on the history and future of Internet governance. By providing an understanding of the dynamics of Internet governance, this paper seeks to illuminate and engage with issues that are of rising importance to the vitality of a global infrastructure that is becoming more central to economic and social development around the world. Based on the perspective developed in this paper, a multistakeholder process appears best suited for helping a widening array of actors, including multilateral organizations, to connect a worldwide ecology of choices that are governing the Internet. My paper is being posted on SSRN and I’ll be speaking at the Digital Futures Conference at Shanghai Jiao Tong University this week. By some estimates, 70% of IT organization budgets are spent on maintaining legacy systems. These costs delays needed transitions to newer technologies. Moreover, this cost estimate only captures those legacy processes automated by IT; several paper-based, manual processes exist and result in additional hidden, human-intensive costs that could benefit from modern IT automation. This interactive discussion will discuss the opportunities and challenges with inspiring a “startup mentality” in legacy information technology organizations. 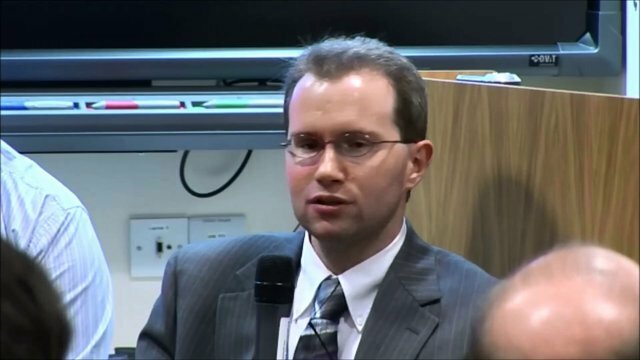 Dr. David Bray, will discuss his own experiences with inspiring a “startup mentality” in legacy IT organizations as well as future directions for legacy organizations confronted with modernization requirements. The discussion will be chaired by OII’s Dr. Greg Taylor, and Yorick Wilks, an OII Research Associate, and Professor of Artificial Intelligence in the Department of Computer Science at the University of Sheffield, will offer his comments and responses to David’s ideas before opening the discussion to participation from the audience.